Santa Claus came early this year for me with 10 great modules from dorji.com. You can buy them easy on tindie,com , ebay.com or give them an email. Comparing them with other modules I have, from niceRF, the space between the pads is 2mm versus 1mm on niceRF so there is more easy to solder them on. Also have pins on both sides so is much easy to design a good PCB. 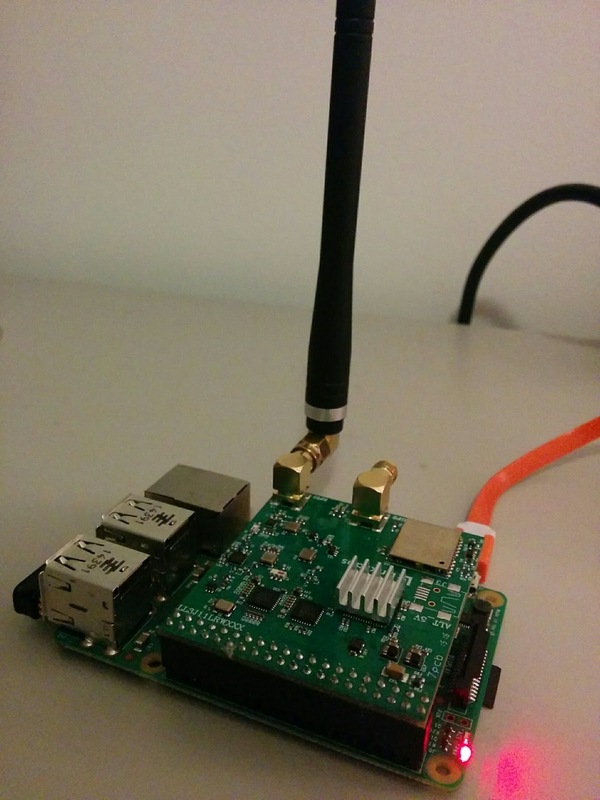 See a picture with the niceRF LoRa module. 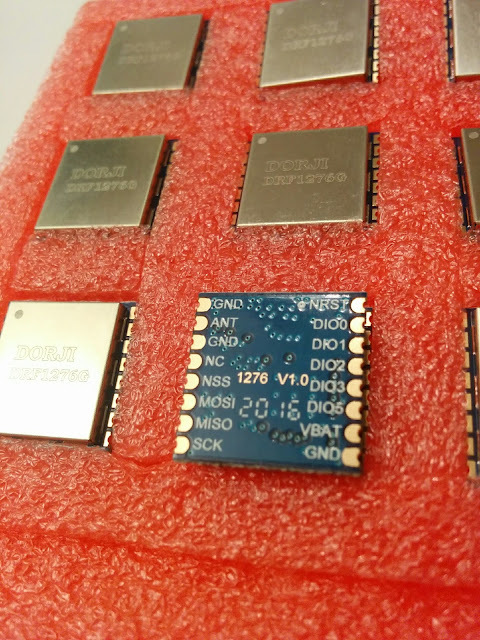 I will connect them to the ESP8266 on the SPI I will let you know about the progress. You can connect them to this ESP module or this one which is battery operated (keep in mind that are 3.3V modules) and don't forget to read this post. 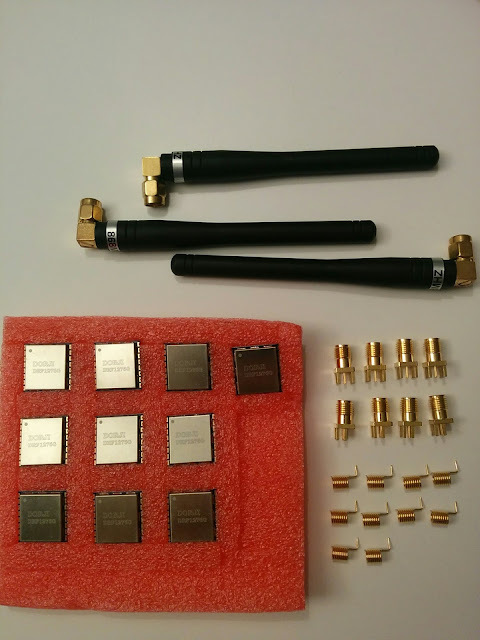 Another nice thing abut this modules is that you can use them as a single channel gateway for LoRa so you will make an economy of few hundred euros so you can buy more modules and test or deploy your network. Finally my LoRa gateway will be happy to receive another 10 motes. 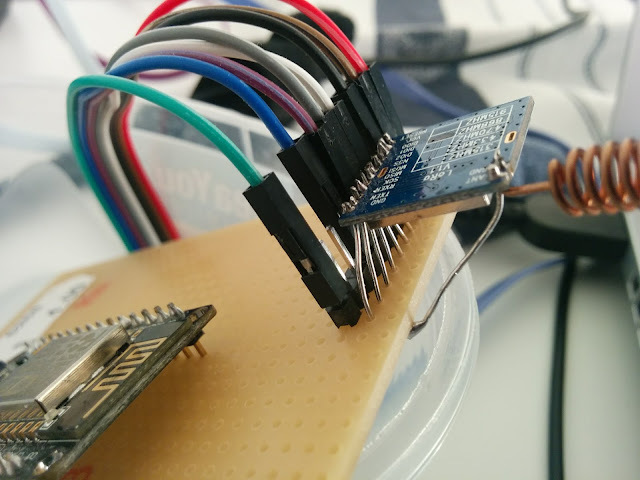 I am waiting for ideas what to connect as sensors for nodes. Other software I am working on is a new LoRa Network Server that will be deployed as SaaS into the cloud so anyone can have a LoRa Server in a matter of minutes. With this server will be very easy to deploy your private LoRa network. As a status, the Rx (uplink) part is done and I am working now on the TX ( downlink). The network server will support for the beginning the latest version (2) and I will add previous version (1) later on. How to connect Esp8266 to a Lora Module?